Bakewell and Horner are delighted to offer to the market this spacious, well planned detached bungalow. The property briefly comprises: Entrance hall, 'L' shaped lounge/dining room, modern fitted kitchen, w.c., four double bedrooms and a luxury bathroom. 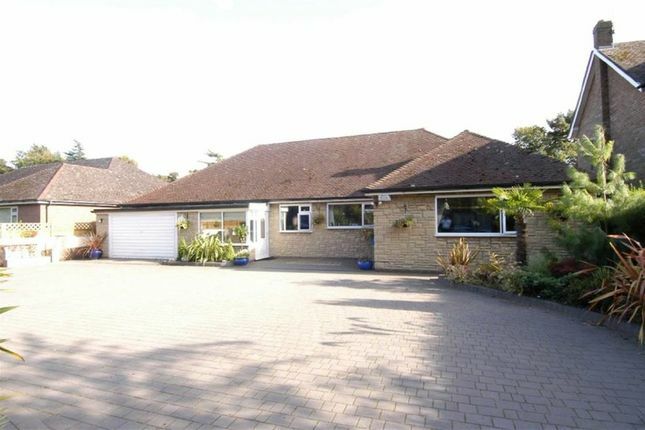 Outside space includes extensive off road parking and garage plus a large lawn rear garden with patio area and pool. The property benefits from gas central heating and double glazing. The property is in a popular residential area and close to local amenities and schools. Viewing is essential to fully appreciate the property. Double glazed door and window. Tiled floor. Obscure glazed inner door to hall. Wooden floors. CH rad. Door to garage. Low flush w.c.. Pedestal basin. Feature fireplace with stainless steel back panel, raised hearth, surround and mantle. Wooden floor. CH rad. Double glazed windows. Double glazed patio door to the rear garden. Square opening to kitchen. Range of wall and base units with fitted granite work surface over. Stainless steel sink with mixer tap over. Five ring gas hob with electric oven and extractor unit. Integrated dishwasher. Central island bar with granite work surface. Tiled floor. CH rad. Double glazed window. Door leading to rear garden. Double glazed window. Built in wardrobes. CH rad. Double glazed window. CH rad. Large double ended bath, tiled in with central mixer tap. Open shower cubicle. His and her hand basins. Low flush w.c.. Bidet. Tiled walls and floors. Recessed shelving. Heated towel rail finished in chrome. Frosted double glazed window. Front: Electric gates. Block paved driveway. Walled boundary. Lawn garden with borders. Water feature. Double garage. Rear: Large lawn garden. Patio area. Swimming pool with decked surround. En bloc store/potential office/hobby space. By appointment with our office. Do you know how much your property is worth? Are you trying to sell but still unsuccessful? We can act as a multiple agent working to sell your home Or If you want a fresh approach to your marketing then contact us today to get moving. We have buyers waiting for all types of property in Wallasey & Wirral. Our advice is free but our results are priceless! Further to our superb marketing we have a property Magazine 'On The Market' that reaches over 15000 readers per month. Make sure your property is listed with us to be part of this exclusive marketing opportunity. Register your details and get listed on our Priority Property email list. Get the latest properties before they reach the general public!